This depends mainly on the weather and on high and low season, which does affect the overall price for accommodation. High season is during the months of July and August, during Easter Holidays, and Christmas / New Year (December till 1st week of January). However best time to come to Bali is April, May, June and September, just before and just after high season. It’s still dry season, it’s slightly less humid, and room prices can be 30-50% cheaper than during high season. Many shops offer sales and promotions, restaurants are less crowded in those mid-season months, and in general Bali is a bit more relaxed. October is not too bad either, still much less rain than November. 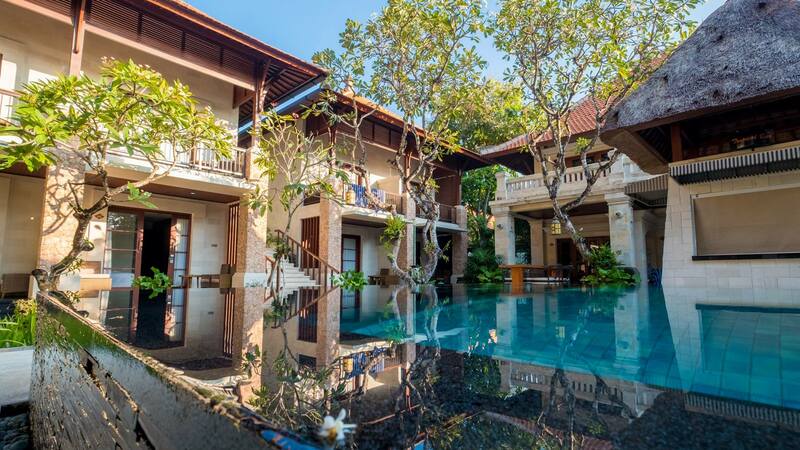 This beautiful beachfront resort is unmistakably among the most renowned landmarks in Sanur, gracing a perfectly central location on the quiet shore and with an unending classical design that continues to charm visitors. Feel welcome through the authentic warmth of Balinese hospitality in Novotel Bali Nusa Dua Hotel and Residences. Nestled within the exclusive and secure-gated location with the most luxurious hotels in Bali, experience the modern easy living and simplicity. Just a 20 minutes drive from the iconic Ngurah Rai International Airport, Pullman Bali Legian Nirwana boasts a promise of pure paradise and island life charm with 351 beautiful and spacious rooms and suites. 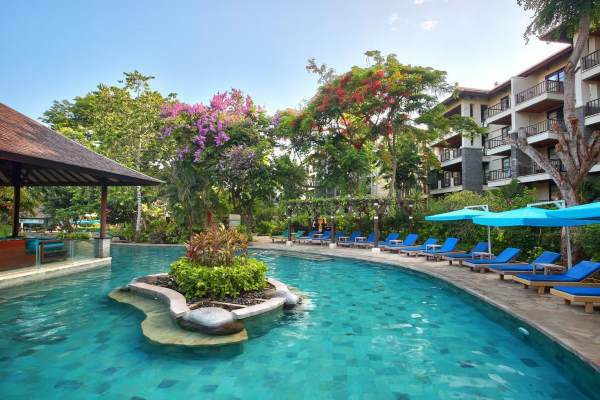 This stunning hotel is located in the heart of Seminyak and within walking distance to all the fun and leading places that creates your perfect Bali boutique hotel vacation. The Colony Hotel is built around a central 16 meter pool and offers 20 Colonial inspired air-conditioned rooms with en suite bathrooms, high speed Wi-Fi internet, Satellite LCD Television with DVD player and Mini bar.